I also carved a large soaring eagle, which sold for $6500. 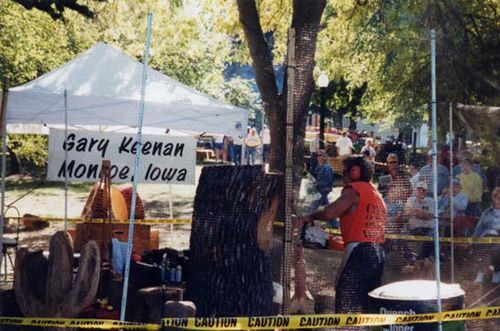 the Iowa State Fair, which has a very strong chainsaw carving tradition. I currently reside in Des Moines, Iowa.